Villa Cendana 2 @ Taman Cendana Permai is strategic located in Juru, Penang. 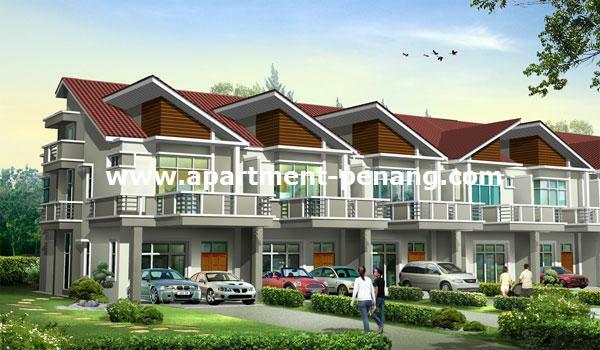 It is only 5 minutes drive from Penang Bridge and close to the North-South Highway and Butterworth Outer Ring Road. 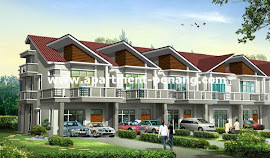 Villa Cendana 2 comprises 136 units of terrace house, semi-detached homes and shop office. 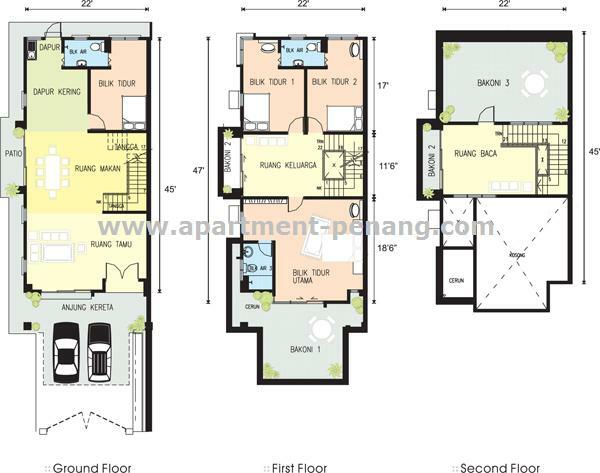 Built in modern feature and impressive designs with spacious layouts. Each home come with a land area of 33' x 80' (Semi-D) and 22' x 70' (Terrace). Any1 have any ideas what may the future plan / development for Juru surrounding areas? is this project on sale now?? any idea what is the market price and any units left? 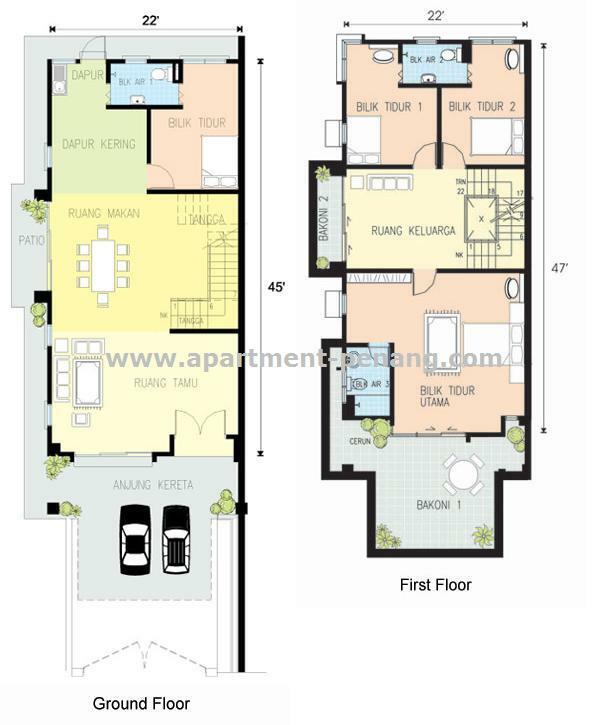 i just check with Metrio developer...VC2 still has 10 units and phase 3 yet launched but open for booking now. got promo for early bird booking. pleaes go and check if interest. Nearby have another project with better design too... It's Juru Villa. 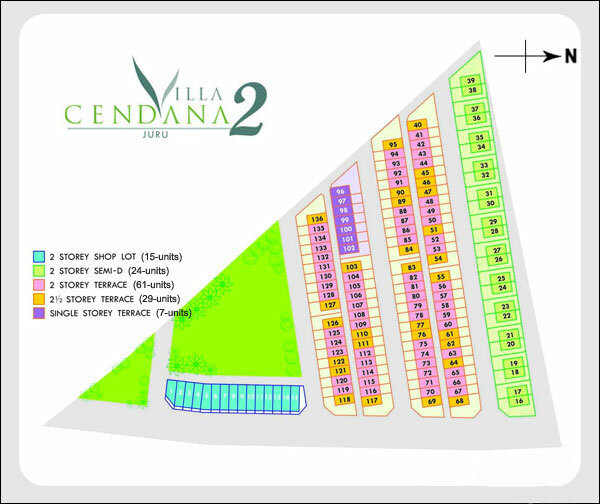 How much is the price for Villa Cendana 2 Semi-D in Juru. I have just been alocated to mainland to work. 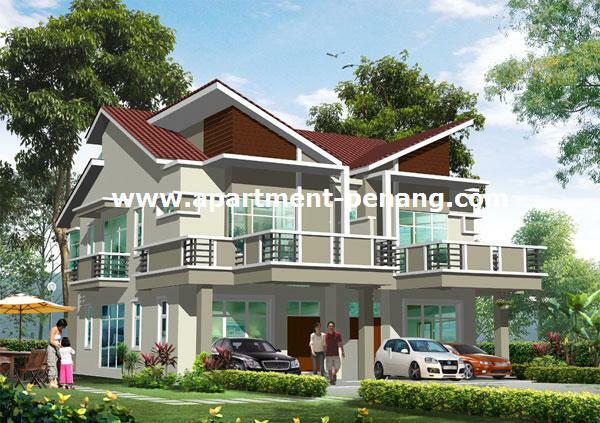 How much is the price range at Cendana2? Juru Villa semi-D is only 412K++. Better design + quality material used. Go take a look if you want to place a property there. I also one of the owner there in future. anyone know double storey terrace still available? what is the price? Corner lot still available... about 440k. 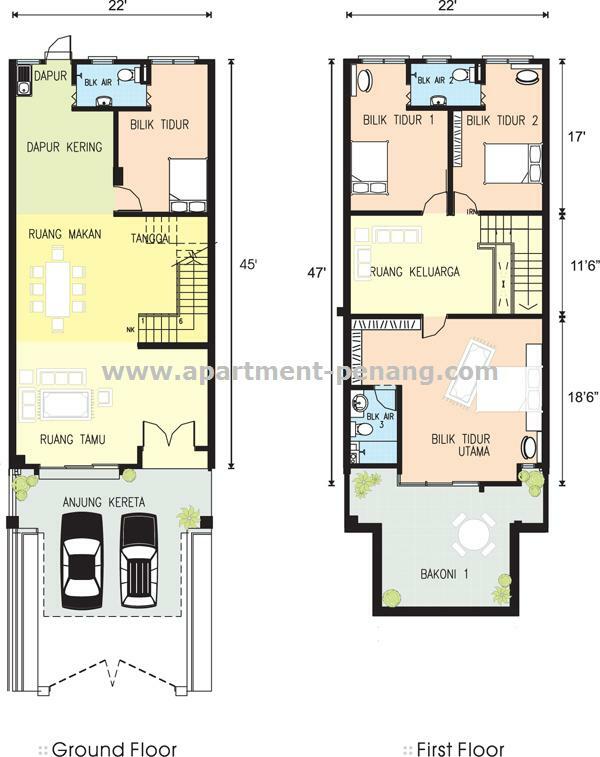 Semi D only 2 storey. Some terrace is 2 1/2 storey seem better. is there any double storey terrace still available? what is the price? What is the price now for 2S and semi-d? Any unit left? where the developer office located? Until now still many unit vacant. Mostly own by invester ?